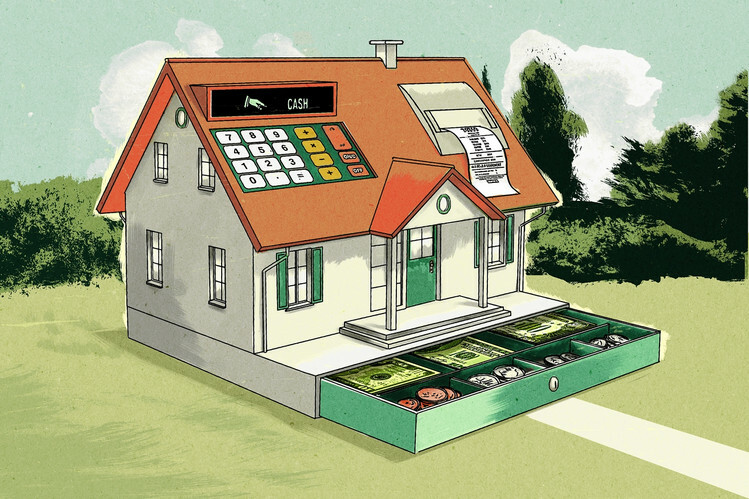 Home owners often seek to use their home equity as a source of cash. They can use this cash for renovations, paying off other high interest debt, funding college educations, etc. Owners typically access their equity by either (1) paying off their current mortgage and obtaining a new, higher-balance mortgage using a “cash out” refinance or (2) obtaining a home equity line of credit (HELOC). Each option has some pros and cons. The new federal tax law somewhat changes the pro / con dynamic. Under the 2017 tax law, mortgage interest paid on loan balances up to $750,000 remains deductible on your federal taxes. However, the tax law eliminated the mortgage interest deduction on new home equity loans and lines of credit. But note that this only affects home owners who itemize their taxes. And with the doubling of the standard deduction under the new tax law, the number of households that itemize deductions is expected to drop from 34 million to 14 million. So, if you are considering accessing your home equity, first think through whether this tax change will affect you. If you are a single filer and your itemized deductions including mortgage interest would be less than $12,000, the interest deductibility will not affect your decision. If you file jointly and your itemized deductions would be less than $24,000, interest deductibility will again not affect your decision. · You can obtain a fixed rate loan. The monthly principal and interest payment will never change. HELOC rates are variable and your payments will increase when market interest rates increase. · You can deduct all interest (on loan balances up to $750,000) as part of your federal tax calculations as described above. · You reduce your outstanding loan principal with every payment. The monthly payments reduce your outstanding principal every month. HELOC payments are interest only. For people who don’t have the financial discipline to pay down HELOC balances, the cash out refi forces you to reduce the loan balance monthly. · You can access more of your home’s equity. HELOC’s typically allow up to 85% loan balance (first mortgage plus HELOC) to home value or loan to value “LTV.” Cash out refis only allow a maximum 80% LTV. · You pay less for the loan itself. Closing costs are typically lower for a HELOC than for a mortgage. · You can pay less each month. Required HELOC payments are interest only. By not paying down part of the principal each month, your monthly payments will likely be lower with a HELOC versus a traditional mortgage. Next post, we will cover some “rules of thumb” when choosing between a refi and a HELOC. Own a home in Georgia and want to access some equity? Give me a call at Dunwoody Mortgage and let’s review your options. We can consider the advantages of each as we guide you to the best solution for your situation. This entry was posted on January 11, 2018 at 10:00 am and is filed under General, Loan Programs. You can follow any responses to this entry through the RSS 2.0 feed. You can leave a response, or trackback from your own site.